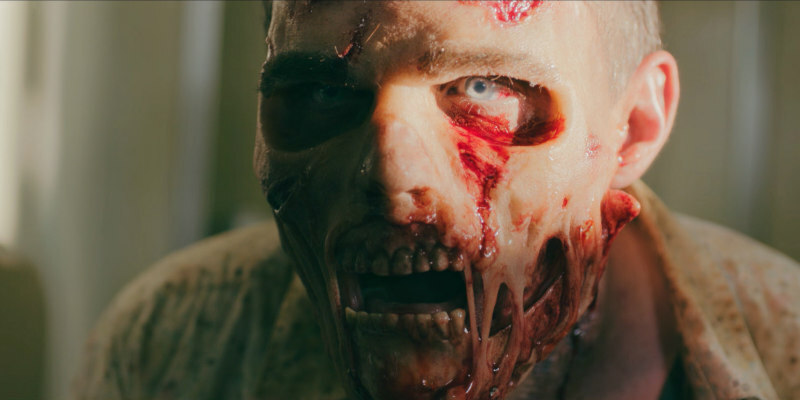 Ahead of its premiere at next month's Horror Channel FrightFest, here's the first clip and poster for zombie comedy Ibiza Undead. It's "The Inbetweeners meets Shaun of the Dead" in this slick horror comedy that's heavy on both gore and laughs. In the new film, Alex, Az and Jim head to Ibiza for their first lad's holiday. Unfortunately for them, tagging along is Alex's unimpressed ex-girlfriend Ellie. Arriving in Ibiza, the lads dump Ellie with Alex's sister Liz, her friend Zara and head to San Antonio to start their week of debauchery. Soon they end up in a San Antonio club, run by local gangster Karl, where the main attractions aren't alive… they’re dead! Thanks to Jim's wild antics, the zombies escape and all hell breaks loose with the entire party island soon battling the undead. Starring Emily Atack (The Inbetweeners), Cara Theobold (Downton Abbey, Overwatch, Crazy Face), Matt King (Peepshow, RocknRolla) and featuring Alex Zane. The comedy is written and directed by Andy Edwards and produced by Elisar Cabrera for Templeheart Films (The Seasoning House, Devil's Tower, Deranged), one of the UK's most prolific genre production companies. 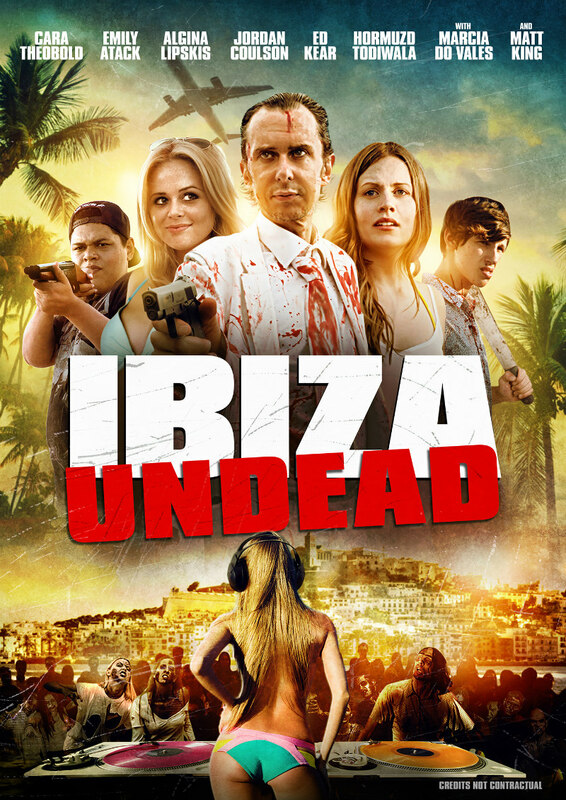 Ibiza Undead is a wild re-imagining of a classic movie genre to really sink your teeth into! Director Andy Edwards: "I'm really excited and thrilled that the premiere of Ibiza Undead is at this year's FrightFest. As a regular attendee myself I'm sure the FrightFest audience will love our fun, fresh - and very British - take on the zombie genre. And yes, we really did film in Ibiza - so some of the zombies are real!"